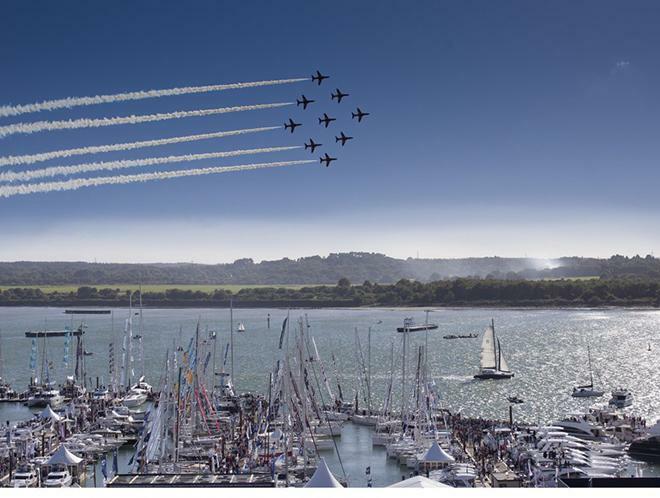 Motorboat & Yachting: The countdown to the 2015 Rugby World Cup is well and truly on, with hosts England due to kick off against Fiji on Friday 18th September 2015. But how will rugby’s greatest players being celebrating the game’s homecoming? On a superyacht in Canary Wharf, of course. 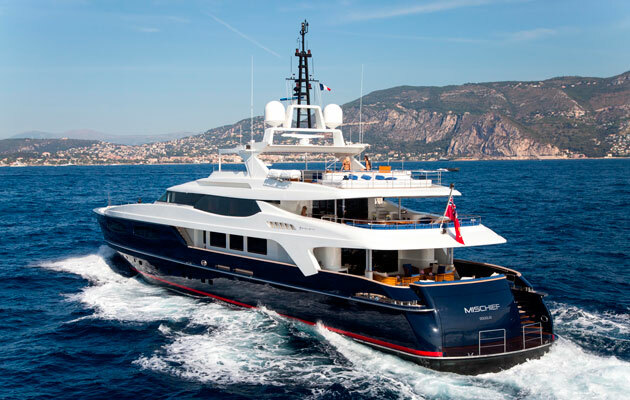 The owners of Mischief, a Baglietto superyacht (as pictured) will be welcoming some rugby greats over the next six weeks. The 52m vessel will be moored in the capital’s financial district, where guests will be able to join the likes of Lawrence Dallaglio, Dan Luger and Matt Dawson for a Michelin-starred pop-up dining experience, every Wednesday (lunch and dinner) until 28 October 2015. They will be joined by John Eales, Phil Kearns, Joel Stransky, Sean Fitzpatrick, Bobby Skinstad, Andrew Mehrtens, Rod Kafer, Nathan Sharpe, and controversial referee Jonathan Kaplan. Dishes on the menu will include langoustine with caviar, roasted pigeon and Wagyu beef & foie gras, as cooked by top chefs Guillaume Brahimi, Sat Bains, Neil Perry, Shannon Bennett, and Claude Bosi. Prices for the ‘Mischief in London’ dining experience start at £990 per person (exc. VAT) and the first of these special Rugby World Cup events will take place on 30th September 2015. Mischief will also be available for private hire on match-days for £590 per person (exc. VAT), including full use of its high-tech screens and sound equipment, so you can combine your love of rugby and superyachts in the utmost of style. And if the England team makes it to the final, we imagine there will be no shortage of takers for this exclusive VIP Rugby World Cup experience.